Join us to make tiny changes to get your life back on track! Well, it’s not actually the “New Year”, but I always feel like September is the second time of the year when I can “start over”. The start of school and the hints of Fall in the air create an irresistible urge in me to get my life back on track, especially after the more relaxed summer vibe of the previous months. 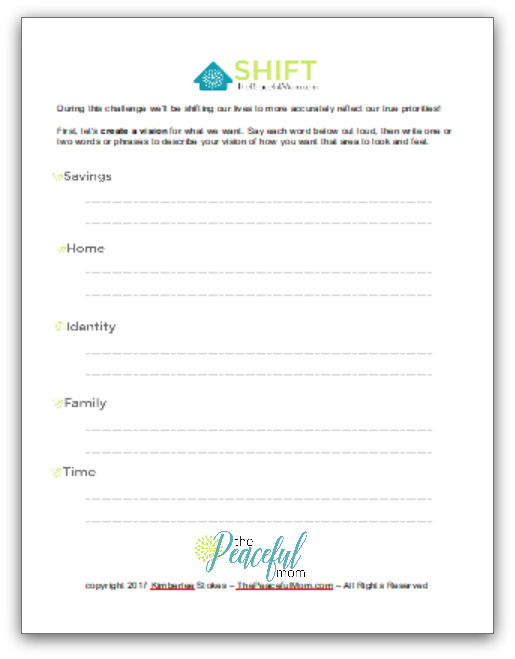 In the spirit of the “new year, new you” idea, I’m hosting the SHIFT challenge this month. A shift is a “slight change in position, direction, or tendency”. And just like the “shift” key on your keyboard capitalizes letters to show importance, we’ll be shifting our lives to more accurately reflect what’s truly most important. Let’s shift our money habits from aimless spending to purposeful saving. Let’s shift our homes from cluttered chaos to beautiful calm. Let’s shift our mindsets from hard-driving performance to quiet acceptance of ourselves. Let’s shift our focus from the distractions of life to engaging in our most important relationships. Let’s shift the way we spend our time so we do more of what really matters. 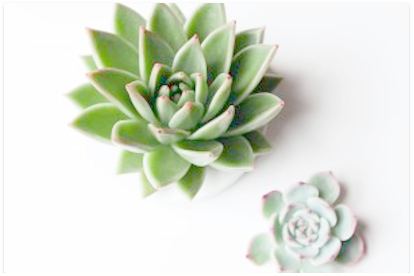 Each week I’ll share simple, tiny, practical steps you can take in each area. You can choose to try one, or try all of them. But we’re not simply adding more to the to-do list. SHIFT is about refocusing on our top priorities and realigning ourselves with our values. Ladies, we’re gonna get our “SHIFT” together! Join The Peaceful Mom tribe for weekly 10 Minute Organizing Missions, free time-and-money-saving resources and more. Once you’ve joined, follow the instructions in your welcome email to download the SHIFT play sheet and start envisioning what you want to change in the upcoming weeks. Share the SHIFT Challenge with your friends! –One entry per household. A comment on THIS post only constitutes an entry. -Prize includes $50 PayPal cash and a selection of digital products from The Peaceful Mom. -Contest ends September 30th, 2018 at 9 a.m. EST. -Winner will be randomly selected from the comments on THIS post using third party software and will be notified by email. -Winner must reply by email within 24 hours or forfeit prize. Thanks for joining me. I can’t wait to hear how your life shifts during this challenge. The Secret to Change Your Money & Your Life for Good! Time and family need improvement. They go hand and hand. I need to find ways to manage my time better to be able to give my family the time and attention they deserve. Time and family would be the two that I want to focus on. I need help! I just saw this post about SHIFT and I need this! Is it too late to join? Absolutely not Lisa! Make sure you’re signed upHERE to receive my weekly emails and then you can read all of the posts so far HERE. I’m stuck between family and time. They kind of go hand and hand. Family is most important to me. But without managing my time better it’s hard to make my #1 right now. Aw, I’m so glad that you found your dress! How exciting! I definitely need this! Thank you so much for doing it! I think the most important shift I need to make is to be more present with my family. I often have listened to them with half an ear, instead of totally focused on them, and i don’t want to make them feel unloved or uncalled or unimportant. I do the same thing sometimes. Thanks for joining us! I’m in for the SHIFT challenge, and I will be focusing on savings. Thank you for this opportunity. I guess I only need some “nudging” to get me started, and this would help. Love this idea! My to do list is multiple pages and very overwhelming! I hope I’m not too late for this? But I definitely need a major SHIFT in my savings, home (declutter, etc) and self (have to get back on track with exercising and eating healthy and back into prayer and reflection). You are definitely not too late! Thanks for joining us Theresa. I am definitely in! My life needs a shift. I think the one I need the most is identity and time. I am a horrible time manager! Looking forward to your ideas and suggestions! I’m in. I love this idea. I need to work on savings and time! I Love the shift idea, I know I have to break up my cleaning out jobs in small bits. I wanted to mention that Woman’s Shelters need things too for the need of setting up a new household for those they are helping to get on their feet. Even personal items, shampoo, etc. Some will even take 1/2 bottles too. Giving does really make you feel you are not throwing away our things but donating so they will be used by someone else. My box is ready to be dropped off, thanks to you for making it all easier for us to accomplish cleaning out our STUFF! with your guidance and insight. I’m looking forward to “Shifting” my time to be more purposeful. Thanks for sharing your gifts, your ideas and your encouragement! You are so welcome Lorie! I am super excited to shift my mindset and refocus on what’s most important which is my family as well as my health. I have been feeling overwhelmed and a bit exhausted so I’m glad to refocus as well as regroup. Every.single.article you write is helpful and enjoyable to me! Our youngest of six kiddos just went away to college, so after 30 years of kids living at home (and 25 busy years of home schooling), My time is available for different things. While this transition certainly has some grieving associated with this huge change, my husband and I are thankful to have ‘space’ to tackle projects that have been so hard to get to when we were more busy parenting. I am definitely trying to create habits in this ‘new life’ that focus on my priorities, and not let time slip away each day. Praying every day and seeking God’s direction is the first – and frequent – thing I’m doing. Thank you for sharing your great thoughts and heart! Thanks so much for your encouragement Peggy! Thanks for joining us Brittany! You can do this! I love the idea of having a second January/New Year in the fall! Our schools have already been in session for 3 weeks, and there never seems to be enough time to get everything done with school, family, school activities, and working two jobs. I could stand to work on all the letters, but I’ll focus on Saving and Family. Home and Time are the two biggest, though honestly, all could use a bit of a boost! I could use some Shift in various areas, but I especially need to declutter. I feel like our stuff is taking over. I have had a crazy year, but it is finally starting to calm down. I have always looked forward to the Fall my favorite season, and even though we are empty-nesters, I need some time to readjust after the changes that have occurred in our family with the loss of several members this year. The first part of September is a vacation time with the family for a nieces wedding. I am hoping that I will be able to journal during this time. I saw your SHIFT reminder & thought it was time to rejoin your mailing list. My particular points to work on are the S & H – Savings & Home. Looking forward to September! Hi Jennifer! Thanks so much for rejoining the email list and for joining us for this challenge! Wow I need this but it’s going to be hard to not try to do them all! Maybe by September I can narrow it down to 2 to focus on. Thanks for joining us Andrea! You are awesome Kimberlee! Thank you for your writing, I’ve used your advice to declutter and clean my home and keep it that way so I will be focusing on other areas in this SHIFT challenge. I feel like 365 days is way too long to remain focused on our goals, it would be much more effective and managable to have a “new year” SHIFT every three months. Looking forward to this! Good bless you and your lovely family! Thanks so much Kristina! And I agree — a smaller amount of time is much easier for goal setting. What a lovely acronym to use for change. I love it. Thank you for thinking of it and bringing us along. You are so welcome Missy! For me it is a tie between home and time. I have seen September as a good time for working on new areas. Thanks for taking the time to create your various resources. They are very much appreciated. Yes thank you for this SHIFT challenge. After a long but quick summer I’m ready for a shift. Really want to work on our Savings since I’m pregnant with 5th baby😁. Thank you for your blog and encouragement to do many. Congrats on your new baby Mary Ann! Thank you for this opportunity. I need most to quietly appreciate who I am. Having gotten lost in spending my last 25 years anticipating the needs of my family, I need to step back and make sure my needs are taken care of and know that I matter. You most definitely matter Melissa! This is such a great approach….another January so we can restart. There actually are two areas I want to give attention to. needs revamping but I am not certain where to even begin on that task. By working on my home first and seeing and living with some progress there it should give me insight on what to do next. Always appreciate how you create ways to make life more livable. I’m in! I really need a shift in Time! 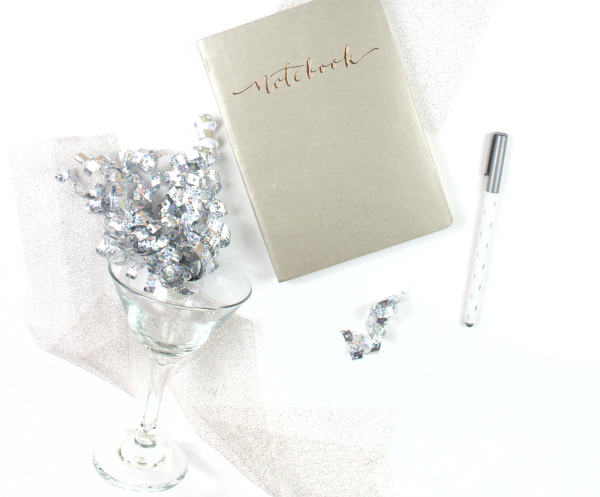 I am looking forward to SHIFTing some items in my life during the New Year, New You! I have missed hearing from you the past few weeks. Plus, I wanted to let you know that no electronics first thing in the morning has been a game changer for me! Thank you!!! What a great idea. Always feel so much more refreshed and raring to go after the summer break than in the New Year. Children back to school next Monday so I’ll be ready to SHIFT into action, focusing on time and identity. I am not a mom, but still appreciate the other information and encouragement. Hubby will be away over labor day weekend, so I was planning to spend some time reviewing my goals and other areas. Your Shift comes at the perfect time. I will focus on time management. Hubby and I have very different priorities so trying to take care of responsibilities, feed my soul and my health, and keep hubby happy makes me feel like a failed juggler. Balls are always dropping. Thanks for joining us Cynthia — and you don’t need to be a mom to hang out with us. 🙂 I know how you feel about balls dropping, but just keep moving. Yes! Fall is the perfect time to SHIFT. I love taking the change in season as an opportunity to recalibrate my house and my life! I’m ready to forgive myself for all the summer to-do’s that didn’t get done and embrace the Fall goals ahead of me! Definitely looking forward to a “SHIFT”. Savings and home need the most work for me. I’m living paycheck to paycheck and can’t seem to get ahead and there’s little to nothing left after bills and groceries. My home has also been very cluttered and I feel that has been spilling over into to my everyday life. Both are effecting my mental health for sure. It’s definitely time for a SHIFT or at the very least a reset. I LOVE the idea of turning September into January because I’ve always thought the determination, fresh start, and new goals and resolves that happen around the turn of the year are so powerful they should happen more often. Using the new school year is a perfect opportunity after the hectic rush of summer’s over and we can get refocused. I know the SHIFT aspect I most need to work on is Family. As a homemaker-in-waiting living in my father’s house, I get so busy with blogging and my job that I’ve been neglecting the important relationships I have here and now. Thanks for the gentle, timely reminder! You are so welcome Liberty! I adore the idea of New Year in September. When I was teaching, this was one of my bulletin boards. It’s a great time to SHIFT! I’m in. My time needs the most improvement although all the parts of SHIFT sound really helpful. Looking forward to this- thanks! I love September for new goals. Not only do the kids go back to school (though now one is in college and one is a junior in HS), but my husband is a teacher so he goes back to work full time too! Getting myself out the door to work every day when everyone else is home during the summer is a challenge. 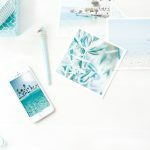 Finances are a big push for me now, and getting my own blog going…..
My husband just changed careers and we arevtrying to get used to the hours. He’s a truck driver and most days the alarm goes off at 1:30 am. I also have two boys in high school that I am still homeschooling Time is definitely my number one. I love the new beginnings feeling that September always offers! I’m excited for your program especially for help focusing on the savings part. Thank you! Very creative theme calling it shift. I like the idea of starting the new year in September. I retired three years ago with a goal of declutter it my house ha ha Ha! Also facing some of the issues you are with friends mainly over political issues. I would never have imagined this being an issue with me as I am very open minded with other peoples opinions. I’m ready for a SHIFT Change. With everything on my to-do list, I need help with time management. It can be chaos around here and I know it does not have to be that way. I’m in! I love seeing ‘identity’ as one of the 5 categories. This is an area that tends to get neglected, and feel this is why I am not as successful as I would like to be in the other 4 categories. I hope by making that category my focus, it will have a trickle down effect into the others. Thanks! I too like the idea of making a “shift” in September! I’ve been thinking a lot about change lately. I really want to focus on savings, to save for the holidays (and my sons’ birthdays)…I’m no longer able to use credit (long story). I also want to focus on time, like not wasting so much of it. I’m a writer and I’m trying to find the time to work on my novel, but I know I don’t have time because I’m an incredibly apt time waster and procrastinator, on top of being incredibly busy. We shall see how this goes. Thanks! I’m in! I love the thought of a New Year re-boot in September which coincides well with the Back to School process! However, I didn’t receive the printable yet. Thanks! Hey Lynn – If you’re subscribed there is a link at the end of the emails to the Resource Library. You’ll find the printable there. If you’re not subscribed yet, sign up HERE. Fall and the new school year has always been a renewing time for me and this year is a Big shift! Lots of evaluation already, plans laid, talking with hubby. Our youngest married and moved out recently; we are dealing with ill & aging parents; looking to increase downsizing efforts; return to healthier habits than we’ve given to during this overly busy summer. For the first time in 20 years I don’t have specific responsibilities – job/volunteer – at a school. It’s a part of me, and I will go on occasion, but not regularly. This shows a huge shift in my outlook and identity. I join with others in appreciation of your openness in sharing your spiritual life. Prayer is foundational and key; the reminder we are not alone is helpful, both in the human experience and that God is with us through it all. Even when friends fail. * Thank you. 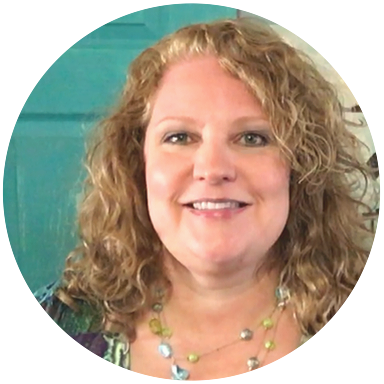 Thank you Kimberlee for giving us permission to SHIFT, most people (me included) get caught up with the whole, only on Mondays or January 1st, that you can start something new or change your direction. Also thank you for helping us to find what that direction should be with your kind non judging guidance. I need to shift in many areas. Finances, family, being more concerned and compassionate towards others. Thanks for helping us start shifting ourselves. Looking forward to our “January” and getting our priorities back in order. I love your SHIFT challenges and really look forward to September’s!! Huge changes freak me out. Looking forward to shifting in small increments! Hi Kimberlee, I like your SHIFT idea, I was just thinking about such things today, I just didnt have the shift name to go with it, now I do and I definitely want to SHIFT a little at least! The area I am considering the most right now is that I need to add some pleasure to my life, something to look forward to everyday, not that Im not grateful for just another day in life! I definitely need a shift, so I am excited for this! I’m in! I love September for new goals, and a Shift sounds like a great way to frame it. I definitely need to work on Savings, but my Identity needs some work too. Looking forward to this! Yes! September has always been a New Year start for me. I guess it’s that new-school-supplies feeling. I’m going to focus on my home: getting all my housework accomplished in one hour instead of scattering it throughout the day. I will be focusing on the savings part the most & then family & a sprinkling of the rest. We are in a tight place financially because milk prices are really low & we are dairy farmers, so going to save what we can the next few months. Also I’m trying to come up w/ ways to make some extra income. I’m also going to spend as much time w/ hubby & kids doing fun free stuff. I didn’t realize that you are dairy farmers. That’s really neat, but I can imagine it’s challenging when prices go down. I pray that God will help you and encourage you as you face these challenges. I just need a new start! I guess savings & home would have to be at the top because I have a fantastic family. It never fails that when you try to get caught up with financial issues another one is there to take it’s place. I’d like to finally get ahead of things and actually STAY there. My home is a disaster area but I do not have the funds at this time to take care of things. I’m just trying to stay positive. That sounds like a tough situation Susan. 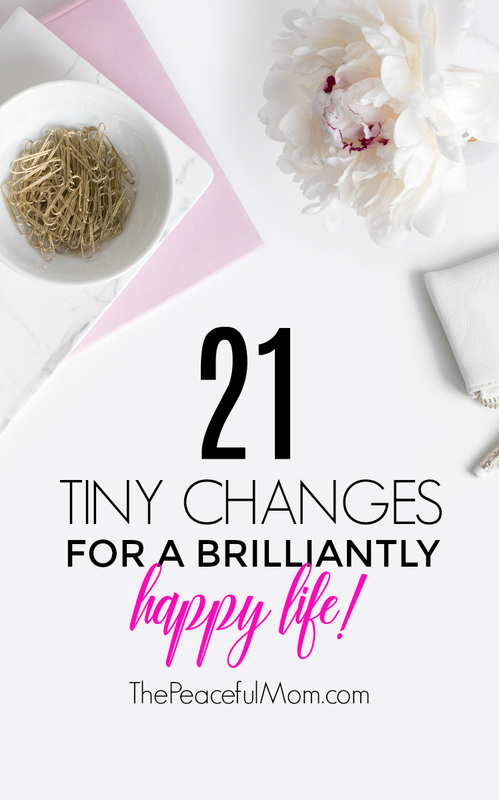 Hopefully you can get some ideas to make tiny changes so you can start moving in a positive direction. I’m in! It’s a toss-up between family & time as my top priority. I honestly cannot pick one area – I need help with all five! My 44 year old husband has recently been diagnosed with cognitive impairment (on the way to a formal diagnosis) and needless to say I am a bit overwhelmed! I am his caregiver and I also homeschool plus I baby sit two little boys full time. Thank you for the give away. Oh no! I’m so sorry! I pray that God will comfort you and help you Wendy. yes ready for a new beginning in September, much more organic than January 1. Thanks for joining us again Sharon! I’m definitely ready for a new shift in my life!!! Looking forward to the “New Year”! I need all the help I can get girl. Love your posts and information! Aw! Thanks for the encouragement Amy! I love the idea of September being a great time to “SHIFT”. Can’t wait! I need a shift in how to effectively use my time. I’m feeling overwhelmed working 2 jobs and taking care of my grandchildren when I come home. Wow! That’s a lot Marilyn! I appreciate all you share about Christian parenting and homemaking. You are an encouragement to me. I have done some decluttering based on your ideas and that has helped me to be less overwhelmed. I just need to implement more changes. Love reading from the “The Peaceful Mom”. Need a calming reminder sometimes. As crazy as we may feel sometimes as mom. WE’RE not alone!! You are NOT alone Sarah!